If you received an invitation, log in to your account. 89% of businesses reduce costs. "We know exactly what our people are doing and can see budget overruns before they happen." 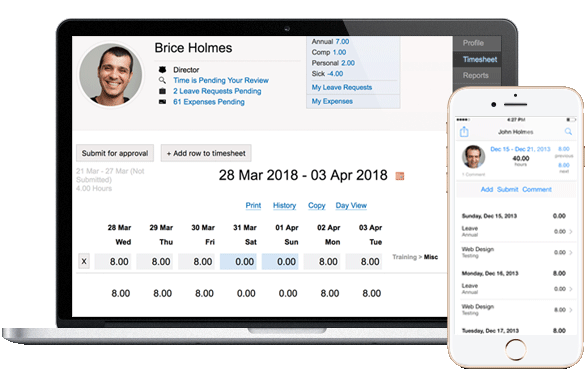 Online timesheets and time clock trusted by the worlds most innovative entrepreneurs, freelancers, small businesses, non-profits, and organizations in over 120 countries. Time tracking for every business type: service, retail, manufacturing, hybrid, and more. Track time from anywhere online and on our mobile app. Clock in and out from a tablet or computer at your location. Integrate easily with your accounting software, such as QuickBooks Online and Xero. Timesheet available from a web browser and iOS and Android devices. 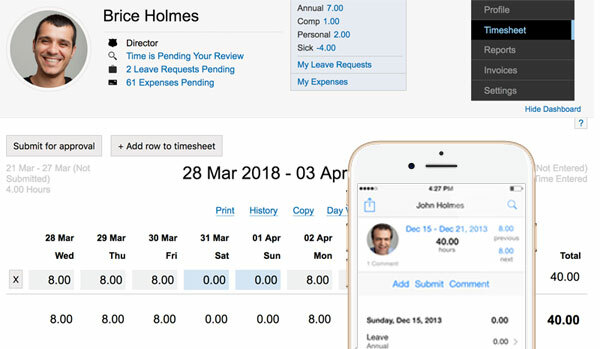 Recognized by PC Magazine as one of the best timesheet apps. Perfect for government contractors and organizations that require extensive audit records. Be prepared for a DCAA audit of your timesheet, billing, and labor data. WeWorked audits timesheet and project changes in real time. View a complete log of nearly every change to a timesheet and project. Stop using paper or those dreadful spreadsheets that take up so much of your valuable time. Stop dreading the end of a pay period and streamline your timesheet on the web. Most companies reduce the time to prepare for payroll by 50%. All with no software to install or maintain. Timesheet data in WeWorked is secure and password-protected. We never store passwords in human-readable format. On top of that, data transmitted is encrypted using 256-Bit Secure Socket Layers (SSL). Same technology of the world's leading financial institutions. Need to send invoices? We have you covered for 30 days. Generate and send unlimited invoices. Receive a 30-day unlimited free trial. Unlimited invoices are included with every upgraded account. Take a look at the awesome features in our online timesheet software. WeWorked is inspired by a love for the web and the desire to simplify and understand time in a way that gives people more of it.